Easy Toffee Fruit Dip - Party Recipe for Bridal & Baby Showers- So Festive! 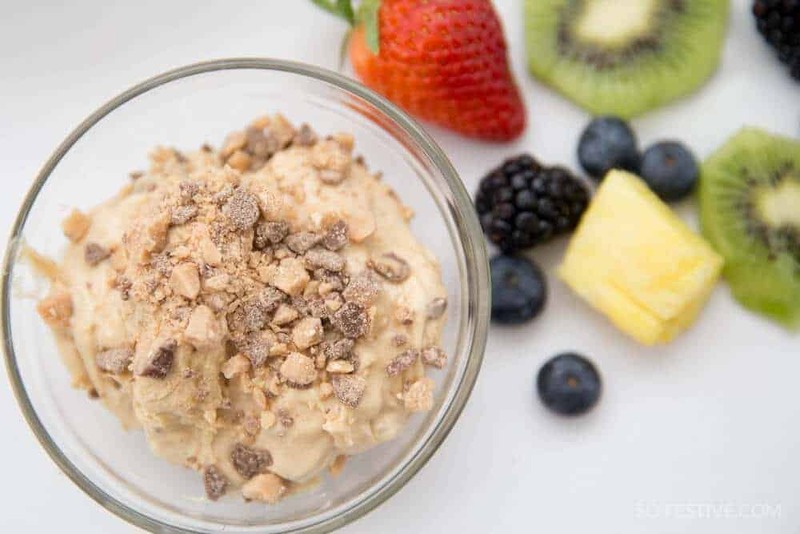 If you’re looking for an easy and fresh side dish for a baby or bridal shower, family gathering, or after-school snack, try this refreshing easy toffee fruit dip! Throwing a party or get-together can be a lot of work, especially if you are hosting. 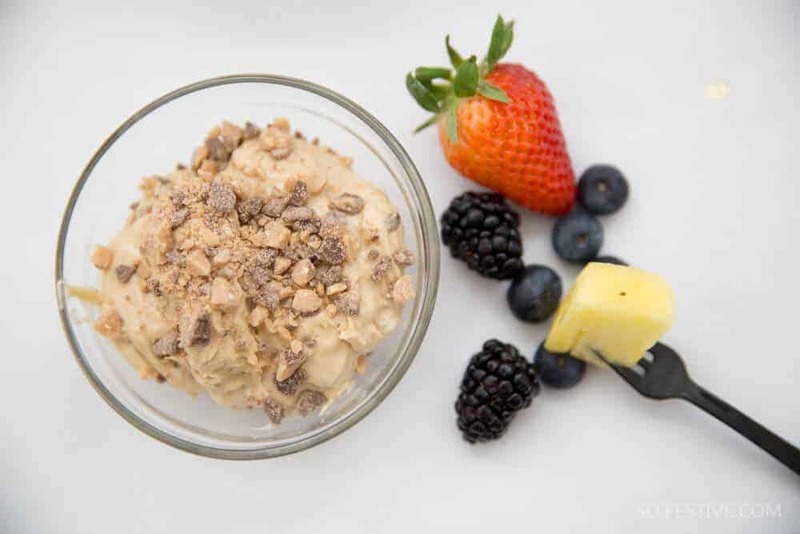 If you need a quick side dish, this fruit dip is a winner! It’s perfect for baby or bridal showers, family dinners, holiday dinners (like St. Patrick’s Day--taste the rainbow? ), or part of your family dinner. We also served this at our Olympic Party since the fruit was the colors of the Olympic Flag! This fruit dip is really quite easy to make that it hardly requires directions. Once the cream cheese has softened, you will mix in the brown sugar and vanilla until well combined. Then stir in the toffee bits and chill in the refrigerator until you are ready to serve. 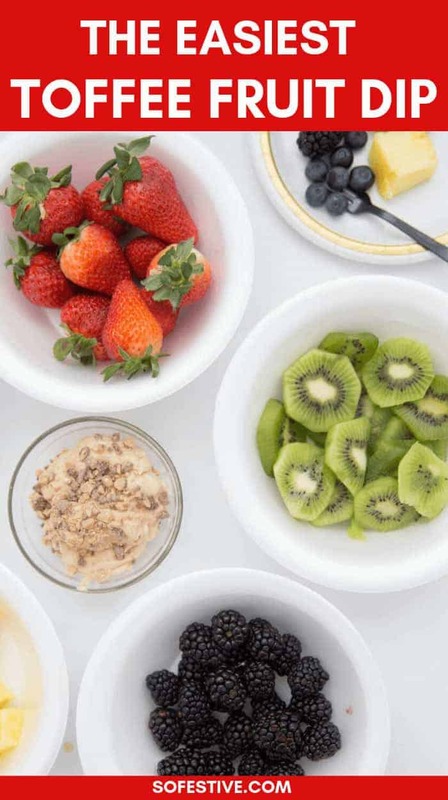 Wash and prepare the fruit and separate into bowls or create one big fruit platter. Yummy fruit included: strawberries, kiwis, blueberries, bananas, pineapple, blackberries. Sprinkle some extra toffee bits on top for good measure. Set out mini forks and plates for your guests to use! 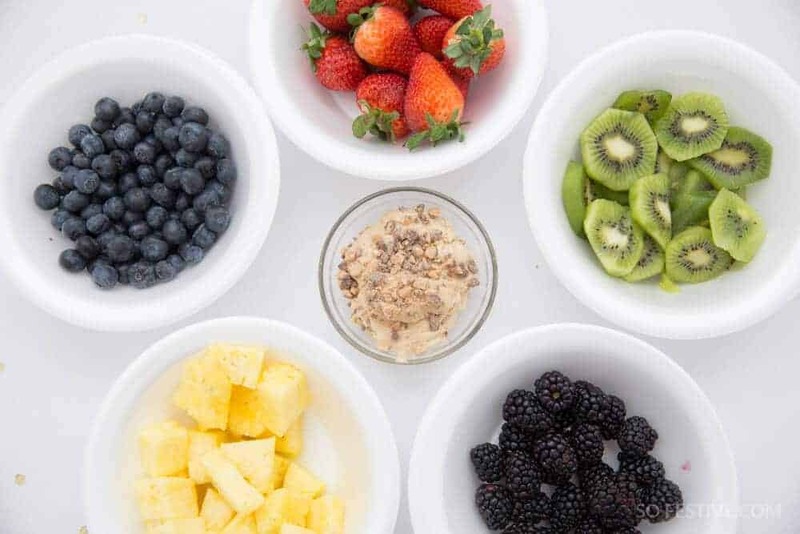 Now you have an amazing & simple fruit dip in your recipe box! Mix softened (room temperature) cream cheese, brown sugar and vanilla together until smooth and creamy. Chill until you are ready to serve. Once ready, sprinkle toffee bits on top. Great with apples, pineapple, bananas, strawberries or your favorite fruit!